So you chose one of our places and you signed a lease. Now you want to know all about moving in? Got it! You can move-in when you have paid your first, last, and security deposit installments and anytime on or after the day and time specified in your lease. I know, that seems evasive! But the date does vary from lease to lease and from year to year. Be sure to double check the date because it may be later than you think. In a perfect world, everyone could move out of one place and into another on the same day, but this isn’t likely most of the time because people have to move out of units and we have to have some time to fix them up. Sometimes this time is very short, and sometimes former tenants trash the place — we know you would never do that, but believe us, it does happen, and that slows “turnover” down a little as well. We will try to accommodate any requests for moving in early. You can submit an early move in request via email any time. If you are granted an early move-in, there is a per day fee for this accommodation which covers costs of maintenance overtime and administrative overhead as well as your extra time in the place. Please remember that if you are granted an early move in, it means we are going to rush repairs and their may be problems with your place that we cannot correct prior to your early arrival. If this is the case, we expect you to be more than a little accepting of this situation. You are welcome to report any issues with your unit, but if you find it unacceptable or are very difficult about it, we may ask that you vacate the home and return no earlier than the date of your actual move in. We truly hope this doesn’t happen; however, we have had several times when inbound tenants have been very difficult with our office staff when they move in early, and this truly isn’t fair since we are simply trying to do the best we can, and are, in fact, doing such early tenants a favor. Thank you for your consideration in this! Together we can get going in a smooth and equally satisfying way! So when you move in, the first thing you need to do is a move in inspection. This is a walk through of your place to make sure everything is okay and to report any problems that may remain from the previous tenants so we can fix them. You’ll get a form for this. You can grab one from the office, or email us and we can send you one. Be careful with your walk through. With all the turnover we do, especially for the IU year, sometimes things get missed when we walk through for the move out with the outbound tenants. If its missed then, then the maintenance crew may not handle it. Moreover, sometimes at turnover things are missed or not done as well as they could be. We’d love to hear about this, both so we can fix it for you, but also so we can provide feedback and track performance of our contractors. If you run into things that are not working, or you happen to break something, during the year, please just submit a maintenance request. Can I have the outgoing tenants leave furniture or other stuff for us? We are moving into a unit and would like to have the previous tenants leave stuff for us. Can we do this? Whether you are buying, begging, selling, or giving, you CANNOT leave anything in a home for the next tenants without getting explicit approval from Elkins Apartments to do so. Just telling us is not enough, and we have to approve it. Why do I have to get approval in advance to leave stuff for the next tenants? There is a purposeful and important gap between tenant groups. You have to get approval because the 10 days or so in between tenants does not belong to either group, and is an important and very short time, and is our only opportunity to turn the place over, get it fixed up, and make sure its ready for the new folks who want to move in. Also, lots of bad things can, and have, happened when people leave stuff for other people. Folks leaving things for other folks is a giant hassle for everyone and creates many many opportunities for issues to arise. Things don’t stay that they wanted to stay. The unit doesn’t get cleaned as well as we normally would because it is not the cleaners, the painters, the carpet cleaners, nor maintenance’s job to work around stuff left behind. How do I Request Permission to Holdover Furniture or other Belonging? Okay, so it may cause problems, but you still would like to do it, because its a fine fine futon, and you really like the old tenants’ collection of Pizza X cups…. so how do you request it? Or simply use this handy Furniture Holdover Initial Request Form. Once received, we will evaluate the reasonableness of the request, and, if reasonable, then send out the electronic Furniture Holdover Agreement. You then all sign the form, acknowledging the request and its terms and conditions. Finally, it would then be reviewed by the Property Manager, and, if approved, executed, and you would receive a final copy along with any additional instructions. Incomplete requests may not be considered. Is there a Cost to Holdover Furniture? Yes. Because leaving furniture at a property is a non-standard procedure that creates additional burden, there is an administrative fee charged to the incoming tenants. This fee is several hundred dollars. Additionally, the requestors acknowledge that all sorts of inconveniences and issues may arise as a result of their desire to holdover furtniture, and as such you will work cooperatively with us regarding your move-in and any approved furniture arrangements. 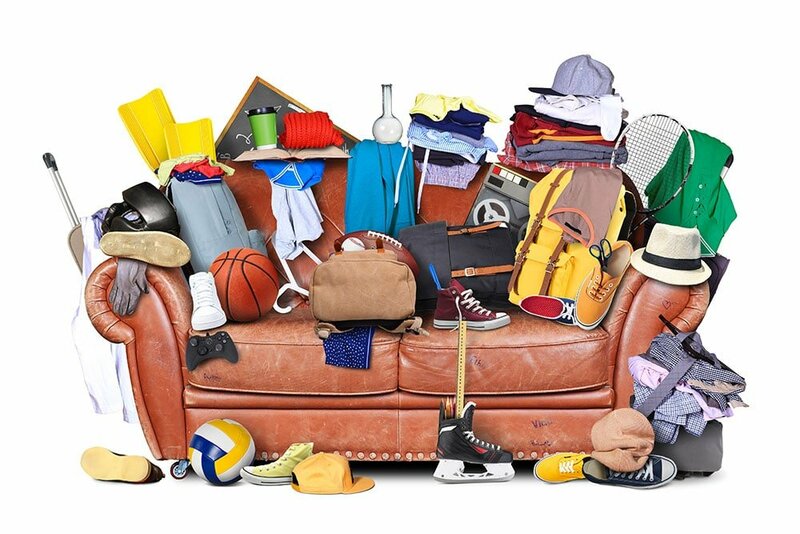 Can you have previous tenants leave furniture and stuff? Yes, if you complete a Furniture Holdover Request. But if they leave a mess that you did not intend, then it is solely up to you to clean it up. 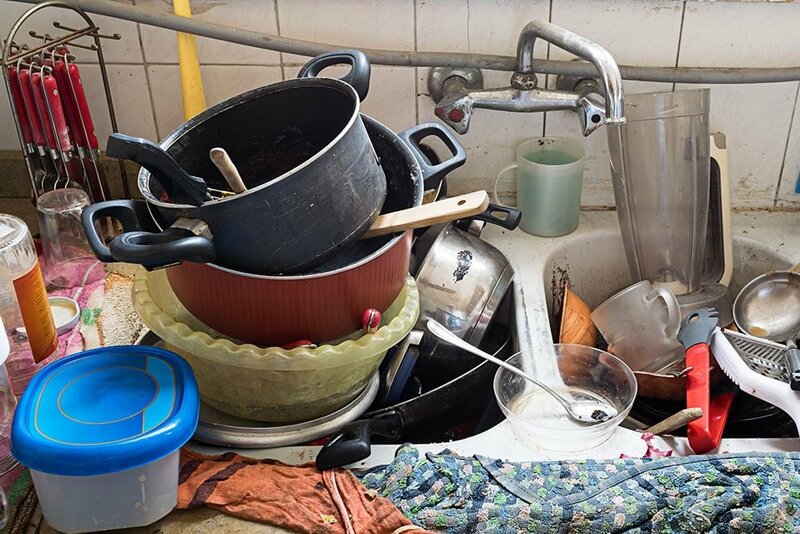 The above probably wasn’t what you meant when you agreed to take possession of the previous tenants’ dishes! Moving in at Elkins Apartments: 4 key steps to a smooth move! Welcome to Elkins Apartments! Ready to Move-In? We are happy to have you with us! We want you to be happy too! Your move-in date is listed in your lease, and usually in your account portal. For Fall 2018 Move-Ins, the general move-in date is August 16th after 2pm. Complete the following checklist = smoother, happier move-in! Your tenant portal is where you can check your balance, submit work orders, make payments, and even set up recurring payments. You need to sign up with the email you provided us when you leased with us. If you didn’t, or if you have trouble, just submit a request, and we will fix you up! Here’s a FAQ on logging in, just in case you have trouble. The first, last and deposit installments that were specified in the lease are due before you move in. Many of you may have paid them already. Even if you have paid your “share”; however, please make sure any other future roommates have too, because you are all jointly and severally liable for the payments. If any one of you happens to have missed a payment, none of you can move in, which would be a bummer…. You likely received a notice that a charge has been added to your account. This would be, in most cases, your “last month” installment (the 3rd of your 13 lease installments). Many of you have already paid it. Some haven’t. Everyone would have received a notice because its not about whether you’ve made a payment rather its a notice that the charge has now been put onto your ledger. Want to be sure? Check your Elkins Apartments tenant portal—you can make a payment here too! Remember, your monthly installments are NOT exactly the same as monthly rent payments. You want to take a shower, preferably a hot one! You want to watch tv? Maybe surf the net? Then make sure you have all of your utilities turned on and in your name (or one of your roommates). Not sure? Section 1.12 of your lease will specify whether we handle a utility for you. If the “excepting only” section is blank, then you are responsible for all utilities. We generally only handle specific unusual situations like bedroom leases and some metered water at a couple locations. Read HOW to set up your utilities? for more information about getting hooked up. 4. Anything else? Check the FAQs! Can my roommates and I make individual payments, or do we have to pay in one lump sum? How do monthly installments work? Why can’t I stay a full year? Is my rent prorated? Can I make an electronic bank payment? Hey, did you know that you will receive a notification of new charges and payments each month? Our property management system notifies all tenants on the lease of any charges and payments added to the lease. Everyone on the lease will be notified when anything happens, which is really nice for helping sort out the whole jointly and severally liable thing and it allows you to know up to the minute what is happening on your account. Thanks again for being an Elkins Apartments Resident. When can I move in? Can I get an early move in? You’ve signed a lease and you are ready to rock your new pad. When can you do that? And can you move in early? The move-in date is specified in your lease. And, Yep!, at Elkins Apartments you can sometimes move in earlier than that date. Sometimes…. Your move-in date is in your lease agreement. Most of our student tenants will move in sometime in August. Everyone else tends to vary throughout the year. For the August dates, the actual date that this occurs depends on the year. For all of these tenants and their homes, we first have to move out the tenants that are already living in the places, then we fix them up, then we move everyone in. In all cases, the move-in date on the lease is not modifiable by any form of verbal agreement or other communication. We have to move everyone out and in, and the dates are selected to allow us to do this most effectively. That said, often we can accommodate an early move in request, no problem (see Can You Move In Early?). When in doubt, check your lease, or contact us, and we can confirm your move in date. Many times your move in date may also be listed as your “Start Date” in the Tenant Portal, but if that date conflicts with the lease, the lease controls the situation. Sometimes you would really like to move in a little earlier. We can try to help out. Please note, we generally do not allow an early move in on a weekend. Here’s what has to happen for an early move in. Keep in mind that someone is likely moving OUT of your place, and they have a date for that too, and we have to have time to fix any existing damage, etc. You submit an initial early move in request. We have an online form for that! It just gives us an overview of where you will be living, when you want to move in, and why. You sign an electronic Early Move-In Request, which we will email to the entire unit. You pay an early move in fee, which includes paying pro-rata rent for the period of time you will be early. This is for the entire unit regardless of how many of you want to move in early, because you are moving into the full unit and because you are jointly and severally liable for the unit. That’s it. We will send a confirmation, and then you can put it on your calendar! You must pay the balance in full for the entire account before moving in early, not just some portion you’ve agreed to among yourselves. This includes the “first” installment that is due, typically August 15th. You may not move into a location unless you have paid all 3 initial payments (security deposit, last, and first) and any associated fees. You understand and agree that in some cases work that needs to be done to make the unit ready will not be done before you move in. You also understand that Elkins Apartments will expect the apartment to be returned in a ready-to-move-in state (paint, carpets, and cleaning) at the end of the lease even though your early move-in may have impeded the repair/cleaning/painting process. The key things here are simply: can we make the early move in request happen at all given the status of the outgoing tenants? And, are you willing to deal with the extra costs and possibly (but not always) extra hassle of moving in early. And, well, are you willing to cut us slack if things are not quite ready. Many times people beg and plead to move in early, we agree to let them do so, tell them all the above and yet they still complain about conditions that aren’t quite right yet. In the end, if we allow an early move in, we need to work together to make it successful, and less stressful, for everyone, right?! Unless your lease SPECIFICALLY says that we handle a particular utility for you, then you must set up all of them. With the exception of some bedroom leases, all our tenants are responsible for electricity, cable/internet, and, unless you are listed in the City of Bloomington Utilities section below, water. Note, not all homes have gas service. If you try to call Vectren and they have no previous service for your address, then you likely don’t have gas heat. When in doubt, just send us a note. Below are the primary providers that you will need to contact to set up your utilities. Please do it early, because they get rather busy during the August turnover time. City of Bloomington Utilities handles water and sewer for most of our apartments. In most, but not all, cases you will need to set up your water and sewer through them. 812.349.3930. You can also signup online in many cases. You can go in person to start service at 600 E. Miller Sr. (corner of Miller & Henderson), make sure you take your drivers license. Duke Energy provides electric service for many of our units. You will need to contact them to establish new service and for any problems with your electricity. 1-800-521-2232, call at least 2 weeks before move-in to get service set up, or signup for Duke Energy online. Elkins Apartments Homes Needing Gas Utilities. Please double check with us if you believe an address to be in error. Comcast provides television and high-speed internet services. You should contact them if you are interested in receiving either cable tv or high-speed internet in your new home or apartment. www.Comcast.com or call 1-800-COMCAST (1-800-266-2278). AT&T, Smithville Telephone, and many other providers also provide television, phone, and internet services in the Bloomington, Indiana area. City of Bloomington Sanitation (trash removal)- https://bloomington.in.gov/sanitation or call 812-349-3443. Make sure you know when you trash pick-up day is, and the rules and regulations for putting trash and recyclable at the curb. If you have roommates, please coordinate who is handling utility connections. You don’t want to be messing with each other and multiple attempts to set up various utilities. Note bene: Almost all Elkins Apartments units are stand-alone homes, townhomes, and apartments, for which you are responsible for contacting the electric, water, and in some cases, gas, companies and making sure you have power, water, and gas when you move in. If you are not sure, or have not been told specifically otherwise, then YES, you need to set yours up. Just do it. Coming in to the office in August and stomping your foot that you don’t have AC because you don’t have power, or don’t have water, or can’t take a hot shower, yada yada yada—won’t help anyone. There is no magic utility wand we can wave, got it? Turn it on. Take care of it. Power, water, and in some cases gas. Gotta have ’em. We love pets so sometimes, yes, you may have a pet BUT YOU MUST HAVE PRIOR WRITTEN PERMISSION for each and every pet. We allow pets for some places. We do not allow pets in other places. We allow only certain types of pets at certain locations. For those locations that allow pets, you must submit an application to have the pet and have that application approved PRIOR to having the pet on the premises. Any violation of this is a violation of the terms of your leasing agreement. A pet application, added to a lease agreement, is called a pet addendum. Pet addendum are non-transferrable. They cannot be applied to another pet nor to another tenant. Pet addenda, once accepted and added to a lease agreement, are for the entire lease term regardless of how long you may keep you pet(s). We do not allow pets that are on any form of dangerous/violent/aggressive animal lists. We charge a monthly fee for having a pet. We require an additional security deposit for pets. If we revoke your right to have a pet or if you never had permission in the first place and we find one on your premises, then you must immediately remove your pet. We’d hate to have anything happen to Fluffy so please get permission first. 25. Pet Policy. Tenant agrees that NO PETS ARE ALLOWED unless both Landlord and Tenant have executed a Pet Lease Addendum. Pets include but are not limited to dogs, cats, birds, and reptiles (fish are permitted). Pets cannot visit or be kept for vacationing friends or relatives. Landlord reserves the right to assess a Three Hundred Dollar ($300.00) fee per pet per incident for violation of this policy and to assess an additional fee of Fifty Dollars ($50) PER PET PER DAY, for each day beyond 5 days after notification of Tenant by Landlord of the violation, and continuing until such time as the tenant rectifies the Pet Policy violation by removal of the pet or, at the Landlord’s sole discretion, through execution of a Pet Lease Addendum. Assessment of such fees does not constitute an agreement to allow a pet. 1. NO PETS SHALL BE PERMITTED ON THE PROPERTY AT ANY TIME without prior WRITTEN permission from Elkins Apartments. When written permission is provided, pets are subject to a pet fee and additional rents will be charged. Allowing a pet to be on the property shall be considered a material breach of the lease and grounds for eviction. You will be fined $300.00 in addition to applicable pet fees and the animal must be removed immediately. Please note that any animal shall be considered an unauthorized animal and a “Pet” per the terms and conditions of the lease. In respect to HUD and FHA requests for accommodations for disabilities, an animal will be considered a “Pet” or unauthorized animal under the terms of the lease until such time as a Tenant submits and is approved for an Elkins Apartments reasonable accommodation under Federal Law, for example for an Emotional Support Animal. Any remedies imposed on the tenant as a result of violating the lease agreement by bringing an animal into the residence without prior approval are subject to removal or, in the case of eviction proceedings, revocation, solely at the discretion of Elkins Apartments.